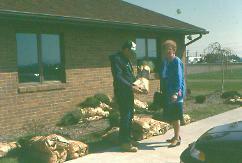 The SWCD sponsors spring and fall tree and shrub sales. 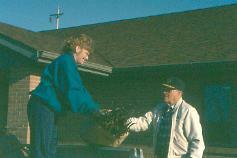 The trees and shrubs are sold in containers or fabric root bags, and are ready for planting. 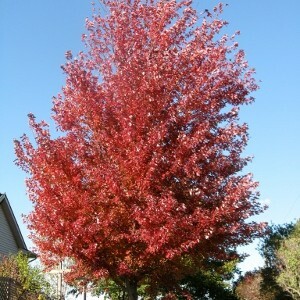 Legacy Sugar Maple 4 ½-5 ft. Red Oak (lt. branch) 5-6 ft.
Prairiefire Crab 5-6 ft. Autumn Blaze Maple 5-6 ft.
Cleveland Select Pear (lt. branch) 5-6 ft. Tulip Poplar 5-6 ft.
October Glory Maple 5-6 ft. Cleveland Select Pear 6-7 ft.
Bloodgood London Plane 6-8 ft.
October Glory Maple 4-5 ft. Tulip Poplar 4-5 ft.
Red Sunset Maple 4-5 ft. Prairiefire Crab 4-5 ft. 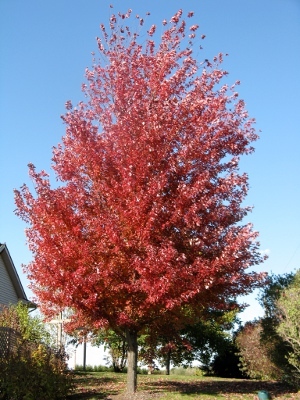 Autumn Blaze Maple 4-5 ft. Shantung Maple 4-5 ft.
Northern Red Oak 4-5 ft. Cleveland Pear 5-6 ft.
**Grows to about 10 ft. tall and 7-10 ft. wide. The SWCD also distributes the Indiana Department of Natural Resources tree order forms each fall for orders that will be delivered the following spring. Orders are placed directly with the IDNR nursery and payment must be made prior to being placed on the agency pick-up list. The SWCD provides the 3rd party agency pick up service from the nursery to our office location (117 W. Harvest Road, Bluffton) for $5.00 per bundle which is payable to the SWCD at the time the customer picks up the trees.